Missing a Christmas inspiration? Yes? I am sorry but I have to put you off. Today, there is no Christmas inspiration because the theme of the Global Design Project is "Adventure" and I have already chosen a product from the new Occasions Catalogue for you. Das Global Design Project-Team gestaltet jede Woche Karten, Verpackungen etc. zu einem bestimmten Thema wie Farbkombination oder Sketch. Every week, the Global Design Project team creates cards, boxes, etc. on a specific theme such as a color combination or a sketch. Für meinen nächsten Kurzurlaub, habe ich mir ein kleines Reisetagebuch gekauft. Dieses ist auch ganz schön, allerdings fehlte mir das gewisse etwas. 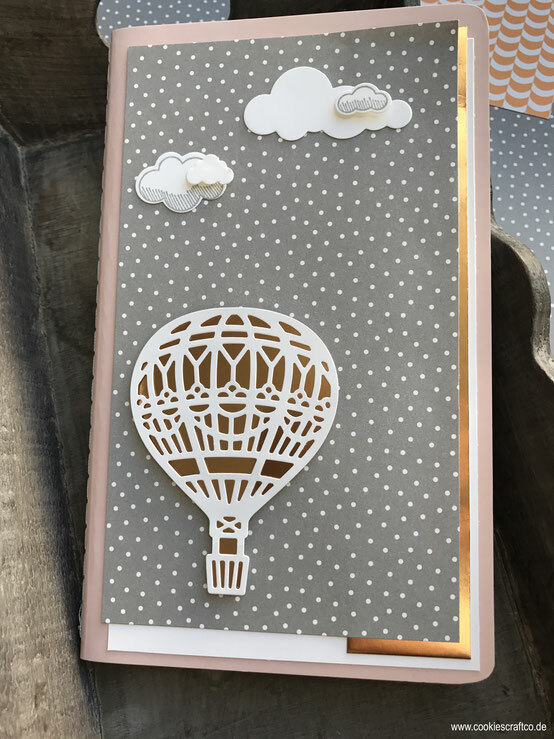 Und so kam das neue Stempelset "Abgehoben" und die Thinlits "Up & Away" mit dem passenden Designerpapier ganz recht. Jetzt habe ich mein ganz persönliches Reisetagebuch. Und wenn ihr auch schon im Dezember die neuen Produkte bestellen wollt und nicht erst auf den Januar warten mögt, dann kommt doch einfach in mein Team. Gerne beantworte ich euch alle Fragen. For my next vacation, I bought a small travel book. This is also quite nice, but I missed a personal note. 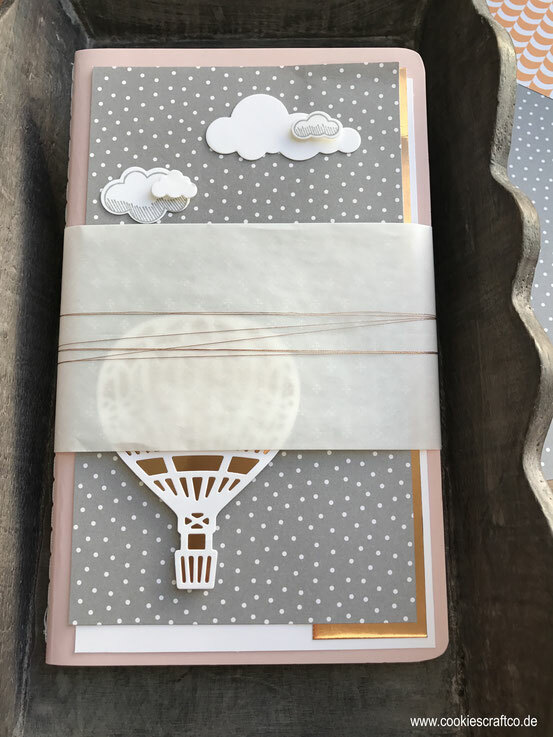 The new stamp set and the Thinlits "Up & Away" came quite right with the right designer paper. Now I have my own personal travel book for all my travel impressions. This set is available from the new Occasions Catalogue and will be available to demonstrators on the 1st December. Otherwise you have to wait until January 4th 2017. Great time to join Stampin' Up! if you can't wait till January.